Do You Have a Life Assurance Plan? "Don't you mean Life INSURANCE policy?," you ask. No, you heard right, it' IS Life 'ASSURANCE' and the policy is yours and mine if we will buy into it. .::: Truth is: we are buying into 'something' every day, so why not make it good? While certain conditions and illnesses or accidents occur, many ARE preventable. 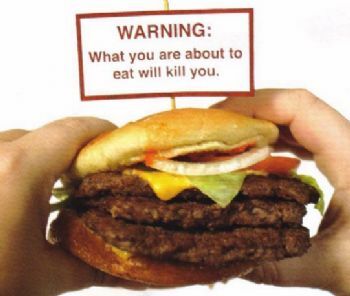 things to come if we avoid the warnings and take heed to health messages. Recently my older brother and his wife who live in San Diego had to evacuate their home quickly due to the fires you probably heard about. It was critical they waste no time. 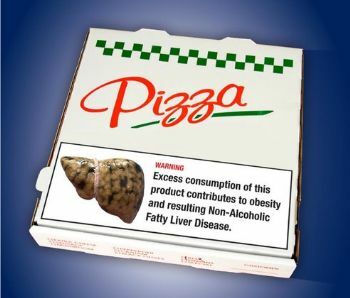 Likewise with our health: Over fifty years ago, the surgeon general warned 'smoking may be hazardous to our health," So is a sedentary lifestyle and a frivolous attitude of buying fast food on a routine basis. We have received an abundance of warnings and yet, this is what i eye witness EVERY time i go to Costco! Take a look at the Menu. 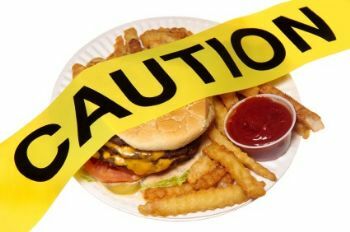 Unhealthy foods drenched in fats 'n sugars; super sized portions have caused an epidemic of obesity and diseases connected. Of course some will argue, "We all have to die sometime!" Sure but why hasten up the process? How much thought do we put into the condition of our liver or think about what it needs to stay healthy as the major filter of our body? .... Or our other organs and body systems? Do we think about them as much as we do the number on the scale? Here's a number of ways we can bring Assurance to our Plan. Assurance that we can by-pass many diseases. Looks like a crime scene, doesn't it? .... Yes and it IS a crime when a person suffers a fatal heart attack or stroke due to blocked arteries. It could have been avoided through diet and exercise. None of us wish to spend our time sitting waiting to see the Doctor for illness and we certainly don't want to watch our hard earned money being drained from us. Here in Sparks, it is a good place to get your ducks in a row by getting a Life Assurance Plan! Thanks for stopping by today .... Be sure to enjoy the Assurance good health brings! 2B Liver is an important organ to protect! Metabolizes what we eat, removes toxins & other vital functions so we can feel healthy! Insure the Liver! Life assurance - ! That's why I'm here! Hi there your "blogs" are so true, sometimes its just so hard to get into a good eatting "Life Style" I do really good with exercise,its the eatting part.thanks! for sharing your blogs have a blessed day! It’s a struggle for many and, as you know, knowledge isn’t enough to change behavior. Struggle, struggle. Thanks for sharing and CONGRATULATIONS on receiving most popular blog! I am trying to get my ducks in a row but every so often they seem to jump out of line and I have to be an army sergeant to get them back in order. or am just going to be out most of the day, I never stop to eat or even have a cup of coffee. Years ago, you didn't even take water with you in the car. Today, things are different. I now carry hot water with me as I drink boiled water, and never cold any more. After passing Costco's Snack Bar many times, last year I decided to stop there with a friend, and we had a hotdog, and shared some fries. The hotdog was delicious and I returned another day and had a second one. It was good too, and reminded me of the many hotdogs I ate years ago at the ballparks. They are full of calories, so that was my dinner that day. I had told the girl I didn't want that many fries. I ate what I wanted, and passed them on to someone else to eat. My husband used to love hamburgers and greasy spoon diners. I have always liked plain food. Now I don't even add salt, sugar, or butter to my food. Sometimes, a person just has to have some forbidden food in order to get on with the correct foods to eat. Your blog reminds me of the green light or good foods versus relight that has little or no true nutritional value but high caloric and yellow which had some value but should be consumed in limited amounts. As always you express yourself so well. Love the crime scene tape. Thanks so much for taking the time to share this with me! Wow!! Very well said. Assurance is so very important. We need to be more vigilant in the ingredients of the foods we consume. I feel so much better eating healthier. Been so long since I have changed my habits that when I do eat out, it does not taste as good. I guess healthier taste better now. That is good, YES! Love your things to do poster. Thanks for sharing. Great information and advice. I love the verbiage! Life ASSURANCE Plan! Love your outlook and the way you verbalize it. Our health is important. None of us would be using Spark if we disagreed. Thank you for posting this excellent blog! I love looking in grocery baskets and shudder at what people put in them. Very motivating post. Thank you! Truly those on the wrong path need to see this and revise their mondset. Another awesome blog! Thank you, Jan!! I hear that a lot too--"We all have to die sometime!" Those folks just don't realize that it is about quality of life. So true!!! We need to look away from bad fats and look to grains/veggies. Very good Jan! I agree with the Costco and Sam's "meals" and on a rare occasion we do have a hotdog after shopping. Otherwise we are fairly good with our meals (at home). Thanks. 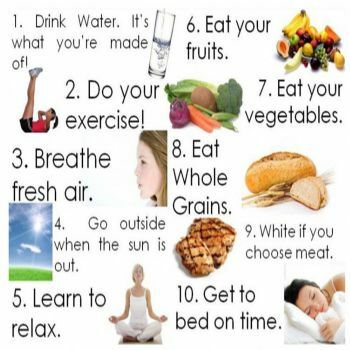 Great Blog Jan............I try to think of the food that I put into my body as a deposit and I want that deposit to grow into a healthy body that will take me into my future years in the best possible condition. I used to love fast food and didn't think twice about eating all those things! But then, I found sp and really evaluated what I was eating and drinking. I gave it up and never looked back. Healthy food makes me feel good and look good so I am a believer in treating my body as good as I can since it is the only one I get and I don't want to be in a wheelchair, I want to be walking 20000 steps if I am still able! So here is to our life assurance plan. We can do this! We are worth all the work and energy it takes!! blog, and to the point. I enjoyed reading it. 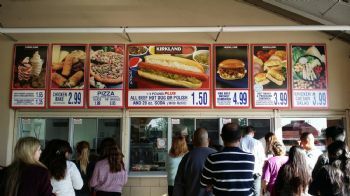 I got ill just looking at the Costco menu board! Yikes! Wonderful blog!! I just wish there was a way to get this message across to 10-25 year olds!! That would make an impact!! What a blog! for sharing with such wonderfully information.